1 − one = Required Please enter the correct value. 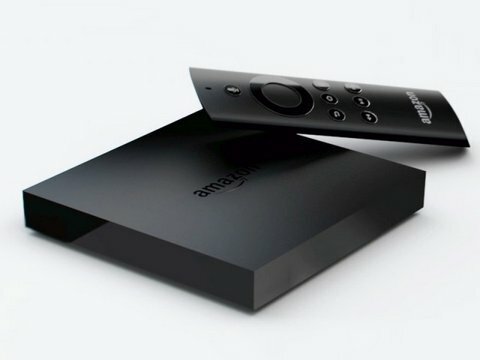 The new Fire TV from Amazon.com Inc. (Nasdaq: AMZN) may be a new product, but it's a familiar strategy. Amazon unveiled the $99 set-top box Wednesday, emphasizing its robust hardware specifications, its voice-controlled interface, its ability to play games, and an array of content that includes Hulu, Netflix, Bloomberg TV and Major League Baseball. And while all of those features will increase the appeal of the Amazon Fire TV to consumers, the main reason the king of online retailing made this product is to create yet another avenue for selling content. And you'd better believe it will be brain-dead simple to rent or buy from Amazon's considerable trove of video and music content. In that sense, the Amazon Fire TV serves much the same purpose as the Amazon Kindle Fire tablet, but extends the company's reach to the consumer's living room. "Amazon has a vested interest in making sure it is present at every moment of possible consumption, which is all the time," James McQuivey, an analyst with Forrester Research, told The New York Times. "It wants to get into that television screen and start to build a relationship." Establishing a foothold in the living room is every big tech company's goal, and for one very good reason. Even in 2014, with multiple entertainment options, the average adult American still spends about five hours a day watching television. And whoever owns the box that's streaming much – if not all – of that content will seize the high ground in a very lucrative chunk of the consumer economy. "Streaming is the long-term future of video," William V. Power, an analyst for Robert W. Baird & Company told The New York Times. "Amazon needs to capitalize on that. The prize is controlling much of the living room and a big piece of the economy." Because the Amazon Fire TV is new, we don't know if it will actually be a "loss leader" – a product that's sold at a loss but brings in profit in other ways. But we do know that has been the case with the Kindle Fire.